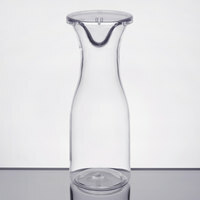 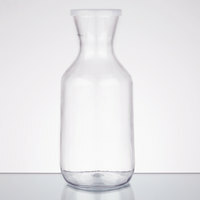 If you’re looking for an acrylic carafe to hold juice, wine, or water, you’ve come to the right place! 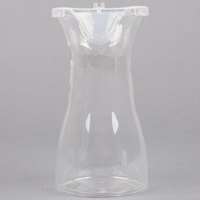 Our selection of plastic carafes includes options of different sizes and capacities, so you’re sure to find the perfect one for your drink service needs. 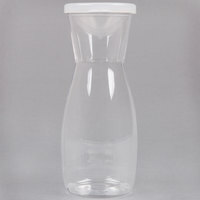 Select styles even feature compatible lids to prevent contents from spilling out when used for room service or delivery. 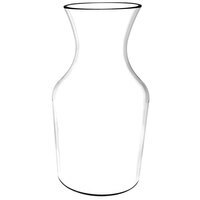 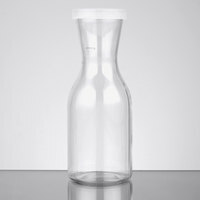 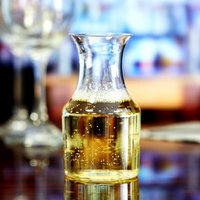 Thanks to the material construction of an acrylic carafe, it can be used in your highly trafficked or outdoor dining establishment. 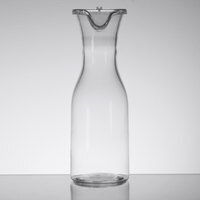 It can be accidentally dropped without shattering into dangerous glass shards. 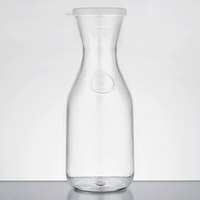 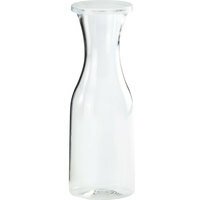 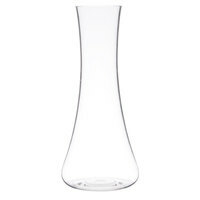 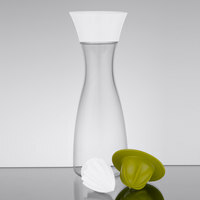 Best of all, many of these carafes are dishwasher safe for quick and easy cleanup.